Since the launch of the App Store in 2008, it’s been possible to develop and sell apps for iOS devices, and it was one of the defining moments for the iPhone. Within a few years, it created a vibrant ecosystem with millions of great apps and some healthy competition to Apple’s stock apps. That’s why I don’t mind using a Google app for my email, a Facebook app for my messages and Spotify for listening to music, they keep each other on their toes. But lately there has been an interesting change in the way I use apps, or rather, how apps want me to use them. Calling Messenger just a chat app is about as right as calling McDonalds an ice cream shop. The product started off as Facebook Chat, a prototype created during an internal hackathon in early 2007 that eventually found its way into the main website. When the app broke off from the main Facebook app around 2013, it was pretty barebones and only offered messaging. But in the last three years, the company has been steadily adding new features, to a point where you can now do a ton of different things with it. There are still features exclusive to other apps, but rest assured Facebook’s developers are working around the clock to make them obsolete. For example, yesterday marked the announcement of Instant Games, which lets users play games in Messenger without downloading a separate app — it just loads custom-made HTML5 games in an in-app browser and keeps track of high scores. It currently has limited functionality, but if you’re a casual gamer, it might be enough to keep you from downloading a separate app. The concept of an Everything App isn’t new. When you go to Japan or China, people generally don’t have a lot of apps on their phone, but instead use one for mostly everything — and it’s been like that for a while. Japan’s mega-app of choice is LINE, and practically everyone has it installed. It offers all of Messenger’s features in one app, and adds a fully-featured social networking service including profiles and a timeline that doubles as a blog. There is also a (paid) sticker and theme shop, games, various payment features and brands can actively message users. China’s WeChat is even crazier — it offers the same features as LINE, and adds some crazy ones. Some of these features are already part of Messenger, like being able to pay people through the service if you live in the US, while others are unique to the Asian services. Though it’ll probably only be a matter of time before more of them will find their way into Messenger. It makes sense for Facebook to aggregate as many services as possible into one app, as every feature added means you won’t need to change to another service. It’s this kind of laziness that Facebook is betting on. If people spend more time in its products, it can serve them more ads and collect more data — which in the end means more money for Facebook. Not really, but it’s complicated. 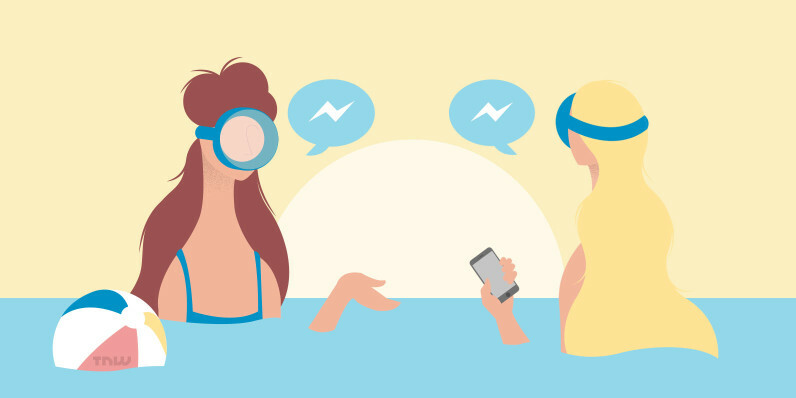 In Facebook’s ideal world, Messenger would be the only app on every smartphone. Everyone would bring in all their data and be served perfectly targeted ads. Your phone would be made by Google, Apple, HTC or another hardware supplier, but use Facebook software only. I don’t think that’s a good prospect. Giving one company too much data, and thus money and power, would cause an unhealthy imbalance in the app ecosystem and would cause competing apps to eventually disappear. There’s something to say for ease of use — I actually like the way Messenger works, and love that I can do so many things without switching apps. Everything is well-designed and generally works without a hitch. But it’s important to be very careful. Facebook already has 1,18 billion daily active users and has grown so big that it has been held accountable for influencing large-scale events and influencing user’s sentiments. Giving it more of our attention might not be the wisest choice.